Terry Carr made his reputation in the field as an extremely talented editor. He edited 16 volumes of the Best SF of the Year, from 1972-1987, five volumes of Fantasy Annual (1978-1982), 17 volumes of Universe, and over a dozen standalone anthologies. 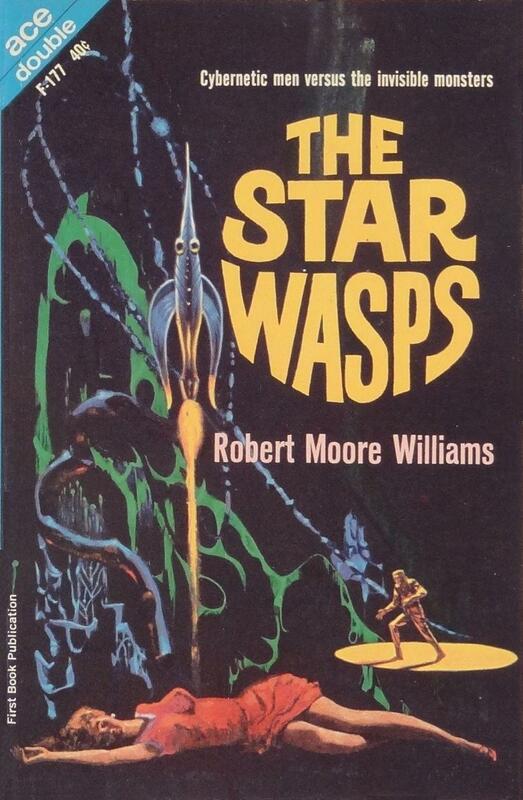 But early in his career he also wrote a small number of novels, starting with Warlord of Kor, an Ace Double paired with Robert Moore Williams’ The Star Wasps (1963). Over at Strange at Ecbatan, Rich Horton took a look at the book as part of his ongoing series of Ace Double reviews. 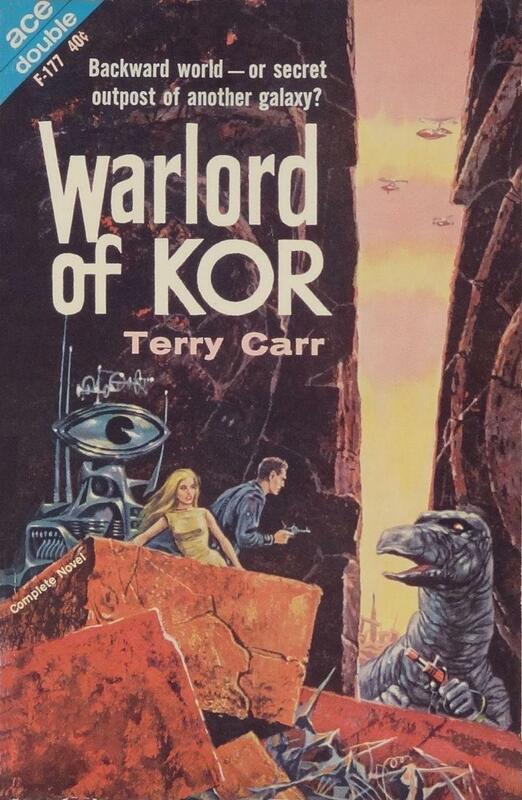 In all honesty, Warlord of Kor isn’t all that bad, though it’s not all that great either… The protagonist is Lee Rynarson, something of an archaeologist who is studying the only intelligent race humans have ever found in their expansion through the Galaxy (or perhaps multiple galaxies). These are the Hirlagi, sort of a horse/dinosaur mix on Hirlaj. There are only 26 Hirlaji surviving — they seem a tired [and] decadent race. They have a long racial memory, and Rynarson, in talking with one of them, hears stories of a warlord in the distant past, who united much of the planet, only to decide, after “communing” with the mysterious god Kor, that the Hirlaji must abandon not just war but science… a reasonable first effort. 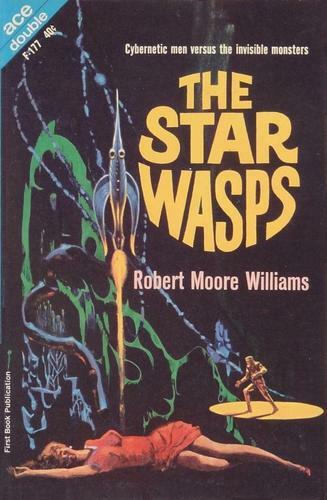 Robert Moore Williams was never for me really a name to conjure with, though I gather his Jongor series of Tarzan derivatives got some notice, and he did receive some praise as well for his early fiction… The Star Wasps… is set in a corporately regimented Denver in 2470. The world’s economy is controlled by Erasmus Glock, owner of Super Corporation. His childhood acquaintance, John Derek (later the husband of Bo! — not!) is the leader of a resistance movement, urging people to strive for freedom. As the book opens, Derek turns a corporate flunky, in the process gaining the attention of Glock. He also meets and immediately falls in love with Jennie Fargo. However, things are complicated by the presence of the “viral”, alien electricity creatures who have been unwittingly attracted to Earth by the experiments of a physicist, Joseph Cotter. Glock has been using the viral as some sort of spies, but he loses control of them. The plot follows John Derek and his crew of freed criminals as they try to foment a revolution, but then realize that the viral might be the greater danger. Joseph Cotter and Jennie Fargo end up on the Moon, researching a solution to the viral problem, while John Derek confronts Erasmus Glock with his criminal shortcomings; and things come to a head as the evil blue viral begin killing people indiscriminately. Can Joseph Cotter disover a countermeasure? Can Erasmus Glock be brought to see the error of his ways? Will John Derek and Jennie Fargo get together? Read Rich’s complete review here, and check out all of his Retro Reviews for Black Gate here.